It is quite the sight to see hundreds and thousands of boats on sparkling blue seas and with colorful sails filled by strong winds, all chasing the same dream. 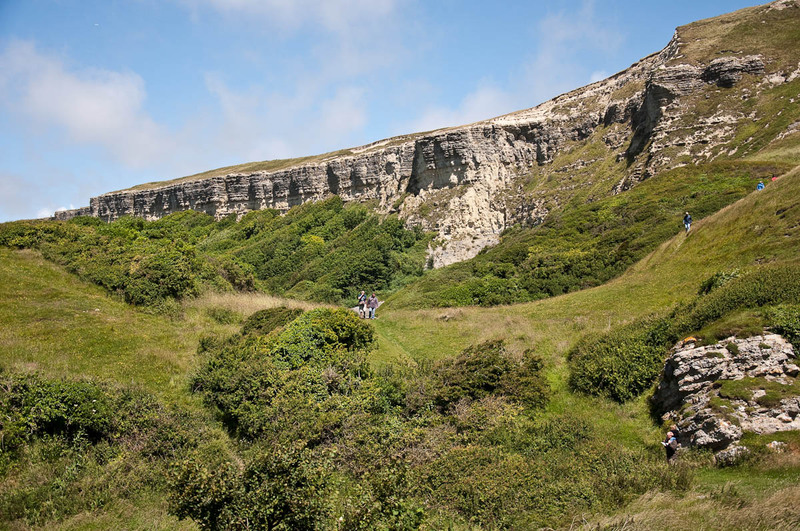 Namely, circumnavigating an island famous for both its Jurassic and smugglers’ past, then as a royal residence and nowadays for being one of the most beloved festival and holiday destinations in England. 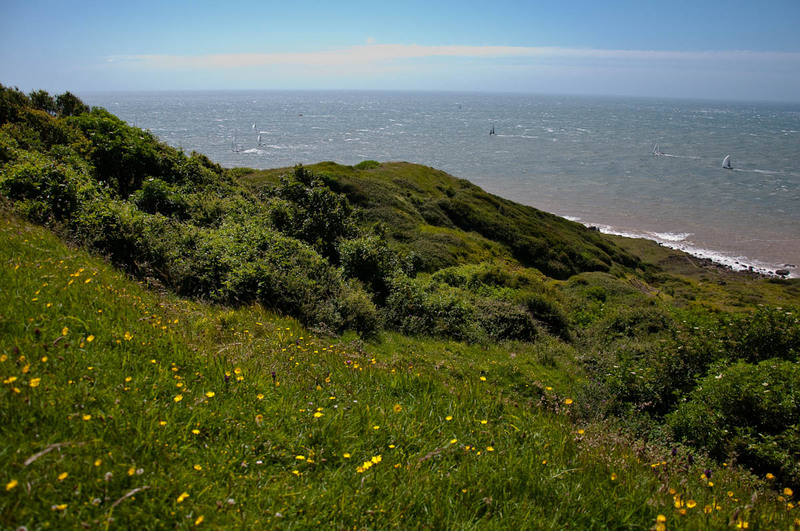 For Isle of Wight – the largest island in England – is all of this and then some. Its green rugged hills and windswept fields hold an energy which makes you feel full of vigour as you hike them under the warm rays of the sun. 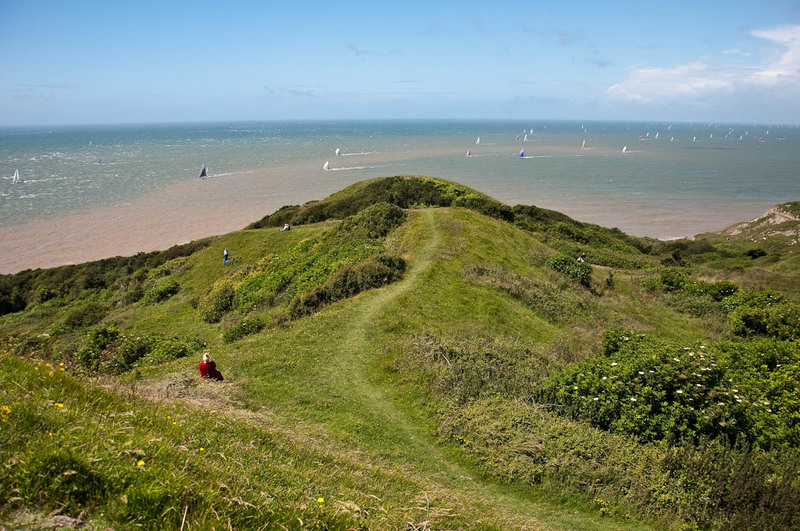 The waters of the English channel lap the island’s beaches and stretch out all the way to the horizon. It is all a synergy of blues and greens. A tranquil, harmonious place of cottages, cream teas and life in the open. And with its thatched roofs, vintage shopfronts and fresh fish and chips served on windy seafronts, it is quintessentially English in a nostalgic, picturesque way which is quite lost in the largest cities on the mainland. And then once a year a special event takes place on the Isle of Wight. 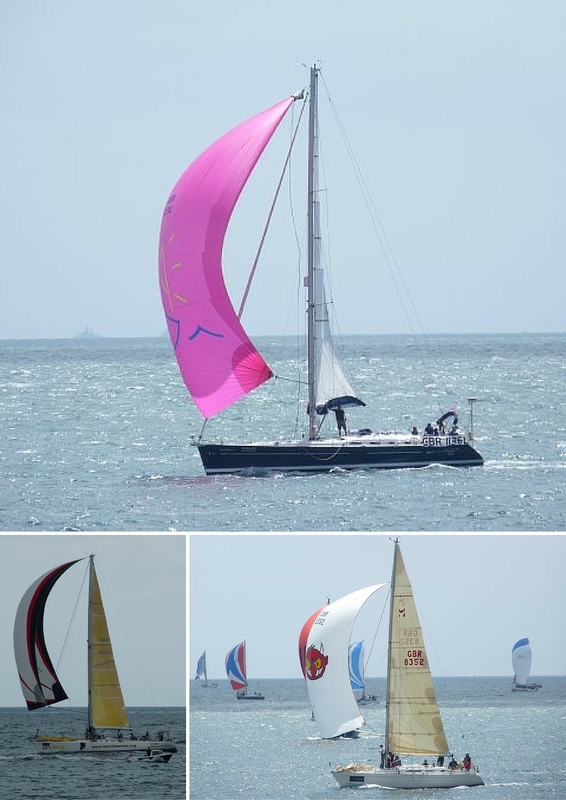 Sailing boats, big and small, come from all over the world to take part in one of the largest yacht competitions – the Round the Island Race. 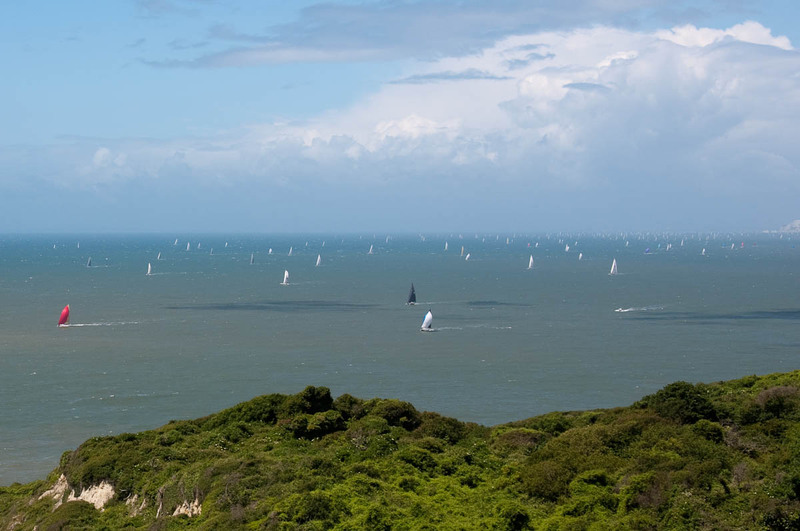 An exciting day when 1500 or more vessels circumnavigate the island starting from the town of Cowes early in the morning and then in the evening reaching the finish line there again. It is an incredible spectacle seeing the hundreds and thousands of boats in the waters surrounding the island. 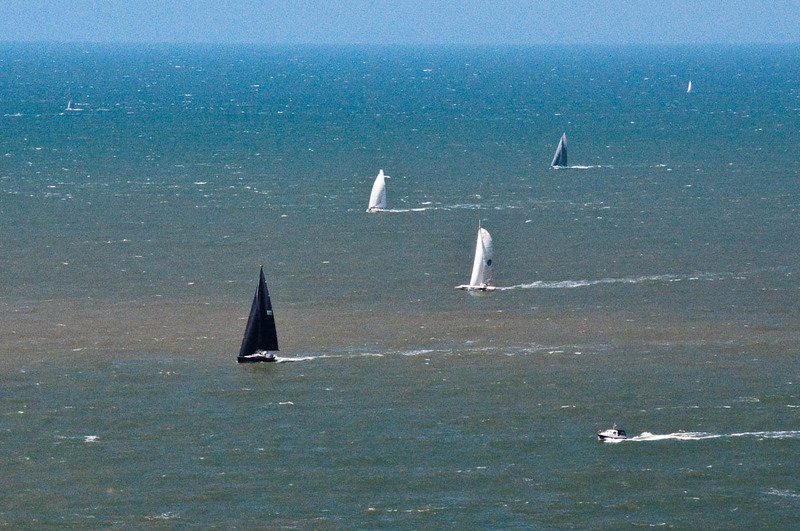 In full sail, they glide ahead, crews trying to keep abreast of the many competitors. Even just as an observer on dry land, you can feel the raw energy coming from them. 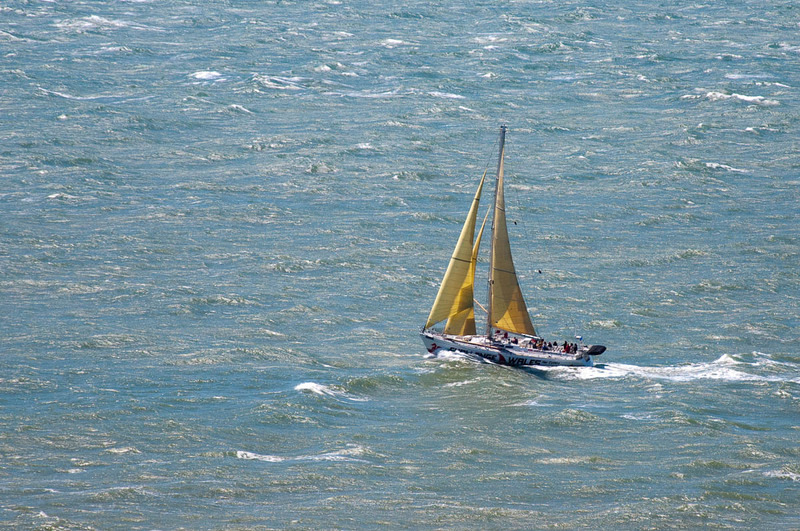 And I cannot help it but fall in love with the colourful sails which speak to me of adventure and life at sea. 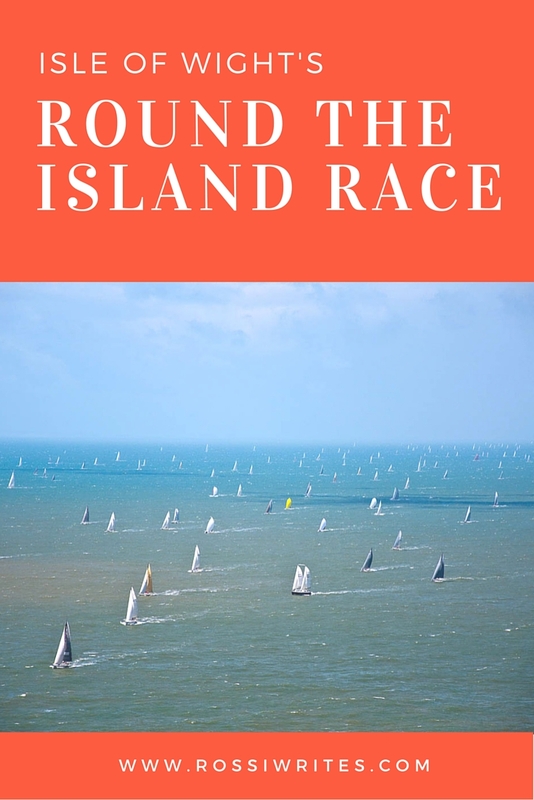 I first watched the Round the Island Race seven years ago. My then boyfriend (now husband) and I had traveled to the Isle of Wight down from London to visit his grandfather – a resident of the island for several decades. The morning after we arrived, we got in the car and drove to the cliffs above Rocken End – a beautiful yet very difficult to access beach. 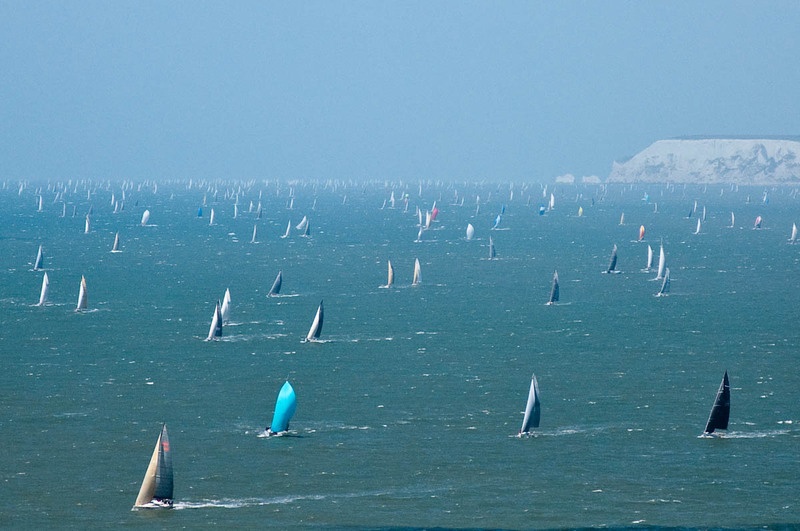 From the cliffs’ high vantage point we saw the hundreds and thousands of boats sailing in fresh from just going round the Needles – a stunning group of sticking out of the water rocks which is the best known landmark of the Isle of Wight. It was a beautiful, emotional sight. It brought back long forgotten memories of my training how to sail a boat whilst I was a student at Sofia University. About an hour away from the Bulgarian capital there is a water reservoir and this is where the University had (or perhaps it still has) a sailing club. For almost two years I would spend every weekend there, learning it all – from the different types of ropes to how to fold the sails the correct way. I loved it! My all time favourite thing being when in strong winds we had to hitch our feet under the straps on the floor of the boat and then hang outside of it so as to balance it. I have forgotten it all now – the terminology, the different gadgets and what they were for, but I still remember this feeling of hanging outside of the boat, using my whole body as a balancing extension of it right above the freezing water which would spray my face and my hands and make me feel fully engaged with the world. 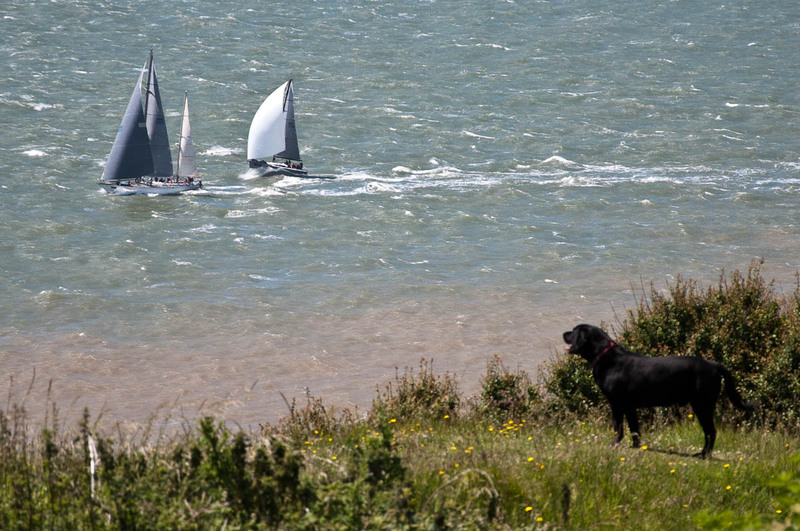 So, watching those boats furrowing ahead, their crews giving their all to the sea, the sun and the wind, all of a sudden I could feel that daring sensation of pure freedom all over again. 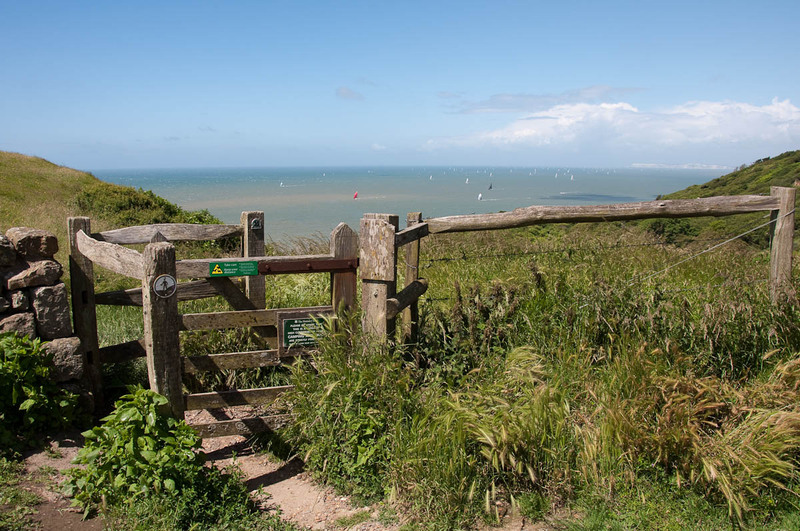 From Rocken End we drove down to the seaside town of Ventnor just in time to see the droves of boats gliding parallel to its sandy beach. The sheer number and variety of sea vessels was simply staggering. Among them all the little boats and inflatables of the coast guard and the rescue services were zipping back and forth. I remember one large yacht getting into difficulty and almost overturning, its keel flashing out of the water for a second before the desperate crew managed to stabilise it and continue forward. 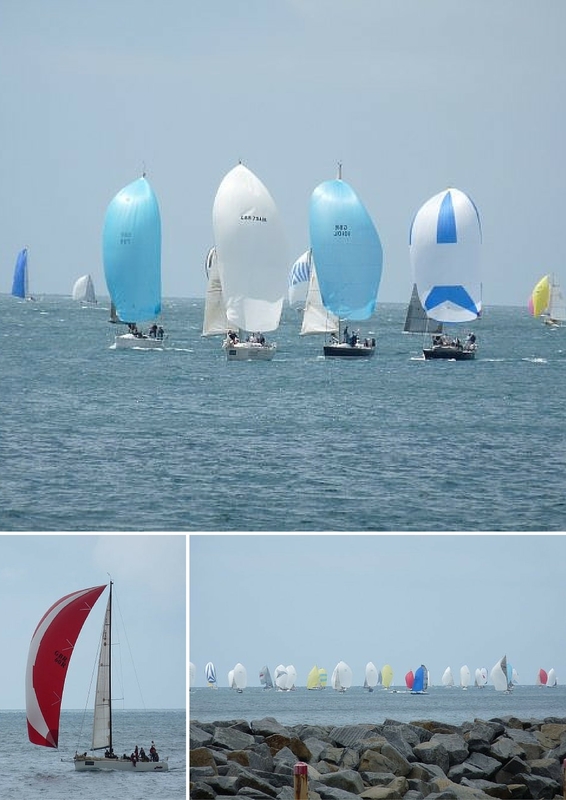 It was all so exciting and the colourful sails of the boats made it look like a festival on water rather than a strenuous competition of endurance and intelligence. The festival feeling was intensified by the presence of large crowds of people who would cheer, clap, laugh and, simply, have a whale of a time. 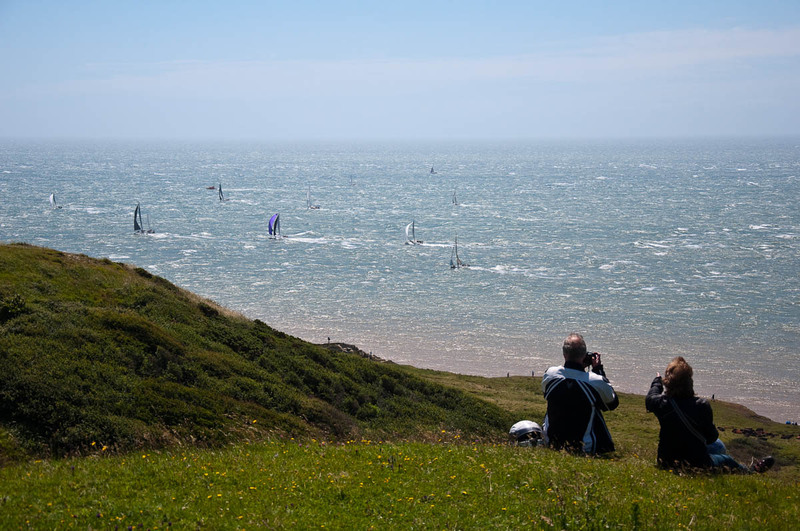 Fast forward to this summer and by pure coincidence we found ourselves on the Isle of Wight right on the day when this year’s Round the Island Race took place. I mean, we knew we would be paying a customary summer visit to the beautiful island and my husband’s grandfather, but until the last minute we hadn’t booked the ferry passing, nor pinpointed the exact travel dates. Then things happened quickly and before we knew it, we were all piled in my father-in-law’s car and speeding off (as much as the dense traffic jam on the M25 would allow us) down to Portsmouth. A short ferry ride later and once again we were on the Isle of Wight. The day after our arrival, we found ourselves on the cliffs above Rocken End. It was just like seven years ago. This time though we had with us our little daughter as a symbol of the passage of time and how much we had changed since that first for me visit to the island. The hundreds and thousands of boats were already streaming into view. 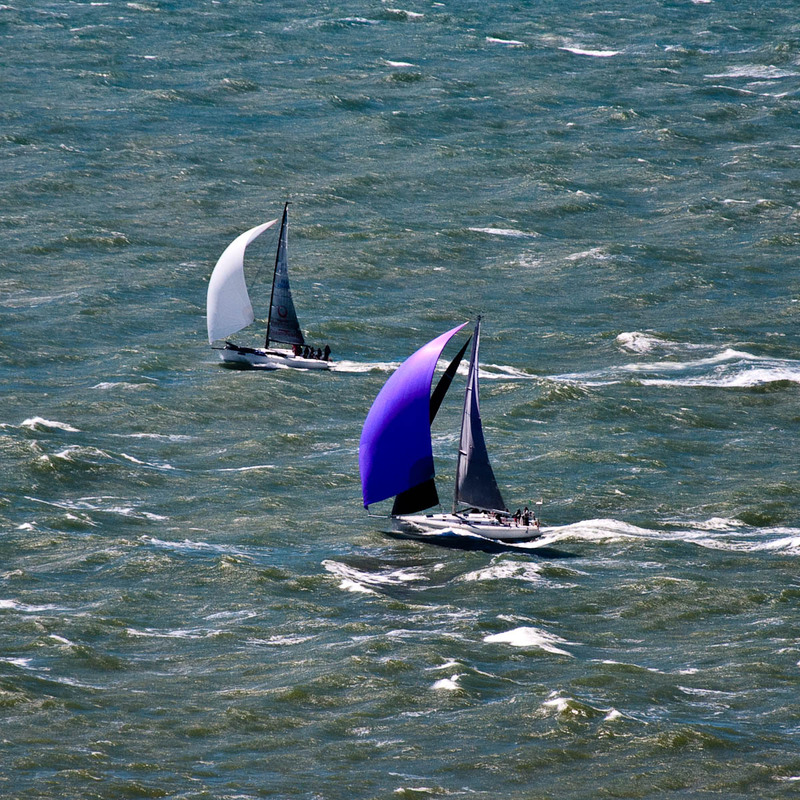 Sails filled by the strong wind. 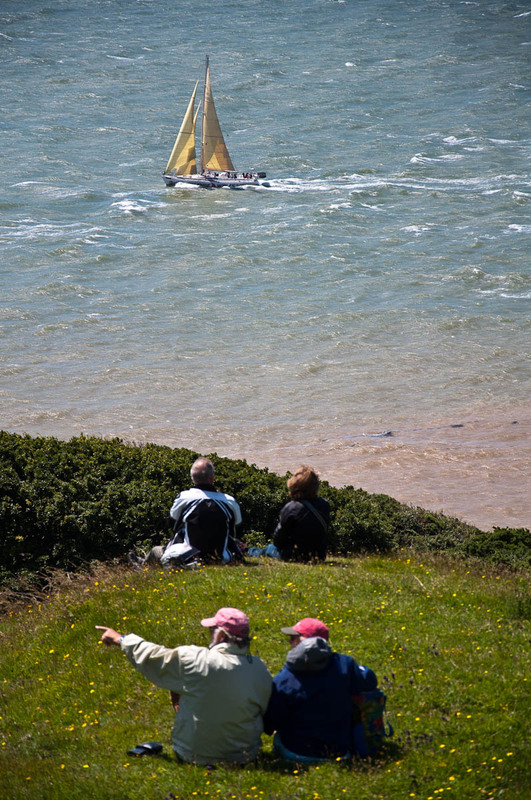 As per the local tradition of following the race from different vantage points around the island, dozens of spectators had already congregated on the cliffs. Wrapped up warmly and holding cameras and flasks with hot drinks, people had settled down for long picnics enjoying the beautiful sight of the boats on the water. The sea was choppy and angry. Pink and red streaks due to mud and soil washed from the coast ran through the blue waves. The boats ploughed through it all courageously. We walked to the tip of a small promontory high up above the sea and found a nice place in the sun to watch the race for a little bit. 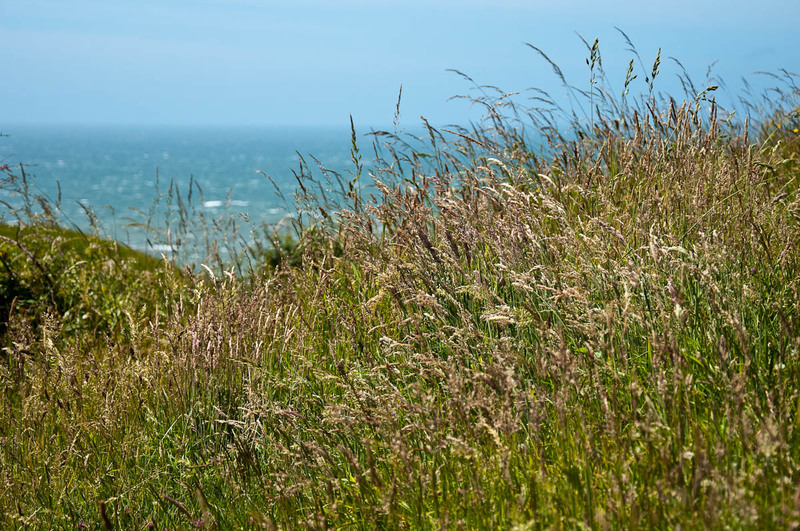 The wind swept the tall grass growing around us and tangled my hair in thousands of ways. 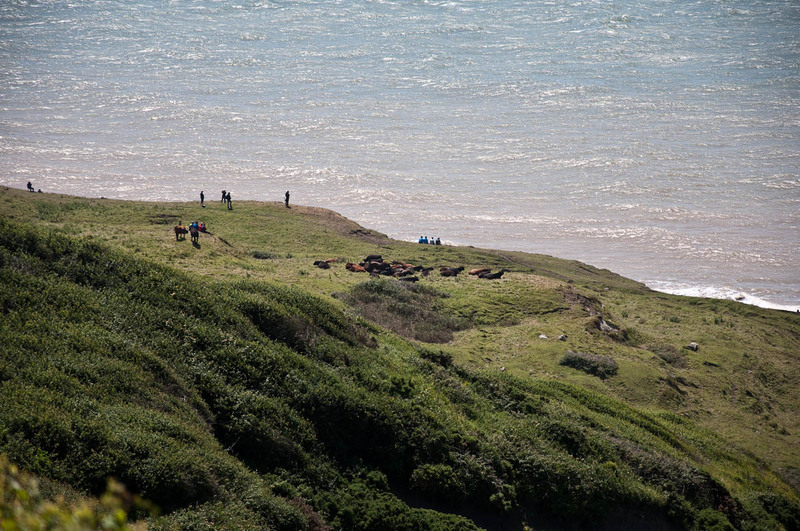 Below us we could see the rocky beach and on a pasture right above it a herd of large cows had stopped for a midday break and to watch the race. On our left hand side the almost two centuries old St. Catherine’s lighthouse marked the halfway point of the race. This time, we didn’t race round the island trying to see the boats at several different points. We simply stayed a bit longer on the cliffs above Rocken End enjoying the view and the warm sun. I don’t know if I will ever sail again, but just looking at all the boats in their fight with the wind and the sea, filled me up with great energy and a quiet satisfaction to be there, in the present moment fully and unconditionally. 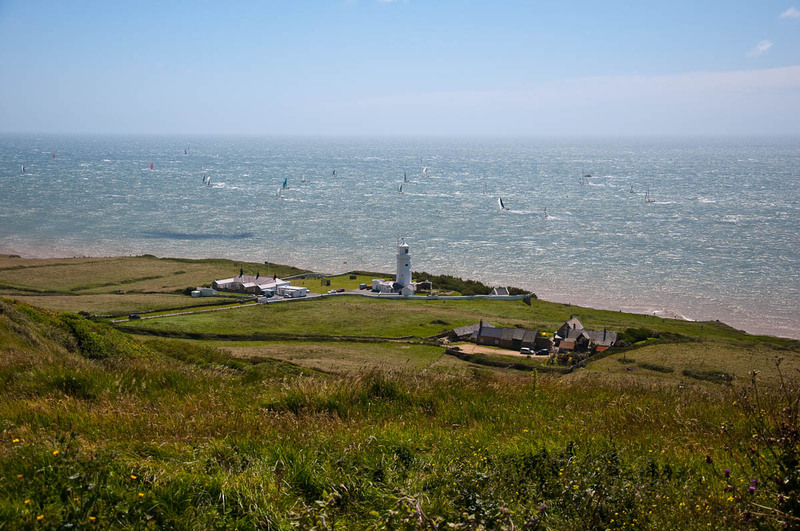 Have you seen the Round the Island Race on the Isle of Wight? 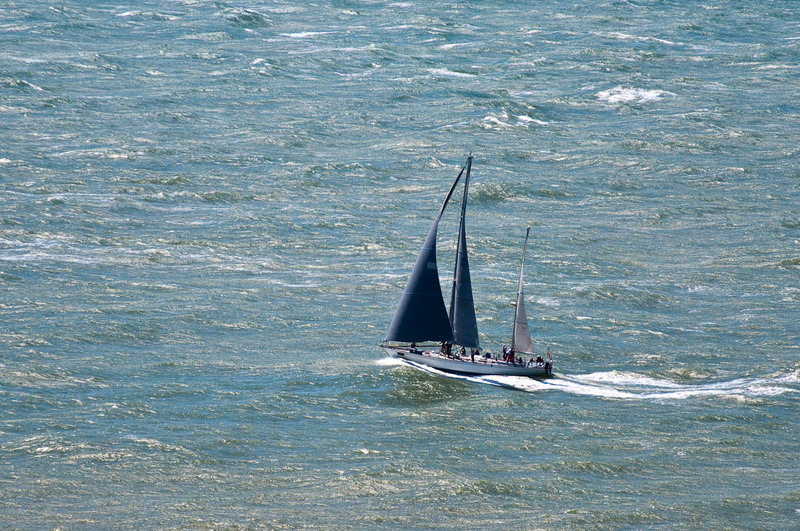 Have you ever tried your hand at sailing? What did you do in your youth which you would still like to be doing today? Let me know below. For more stories like this, please, follow me on Facebook and subscribe to my newsletter. And, oh, I love comments too, so leave me one below. Ta!